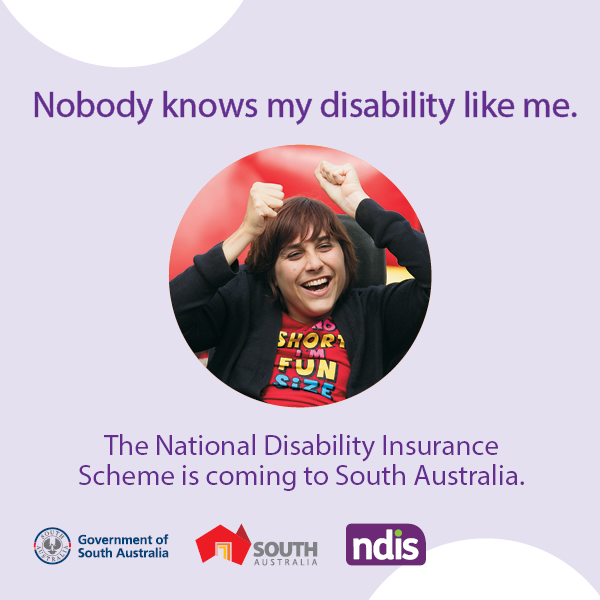 A new advertising and community awareness campaign launching tonight will help South Australians understand how they can benefit from the National Disability Insurance Scheme (NDIS). The campaign will support the transition of 32,000 South Australians with disability into the NDIS, with the message ‘nobody knows my disability like me’. It features personal stories from South Australians, including 16-year-old Mikayla. Mikayla receives support from the NDIS to help her with the day-to-day challenges of her autism, and to reach her personal goals. This includes activities to improve her social skills and relieve stress. Mikayla’s mum Leonie said the scheme has improved life for the whole family. “Mikayla’s studies, behaviour and confidence have improved so much now that she has specialised in-home support,” Leonie said. “She’s also been able to re-join activities like gym and digital art classes, which she loves and which really help her develop but which have not been possible for years. The $1.35 million campaign also targets job seekers considering the 6,000 new jobs the scheme will create in the state’s disability sector, with the tagline ‘I can see myself making a difference’. A significant element of the campaign is a series of 23 community information expos across Adelaide and throughout regional South Australia, bringing together service providers, training organisations and the public. Children have been entering the NDIS in South Australia since 2013 however, on July 1 this year, the roll out begins for adults up to the age of 65. Funding for disability services in South Australia will double under the NDIS, to $1.5 billion each year by 2019. At full rollout, the State Government will contribute $723 million annually to the NDIS. Lois Boswell, Acting Chief Executive for the Department for Communities and Social Inclusion, said the campaign is designed to help South Australians better understand what the NDIS is all about. “This is a complex reform and people need to really understand how it works to give them confidence to manage the changes,” Ms Boswell said. “We’re setting out to reach as many people as possible – via media, online and in person at our regional expos – to answer their questions and help ease their transitions to the NDIS.